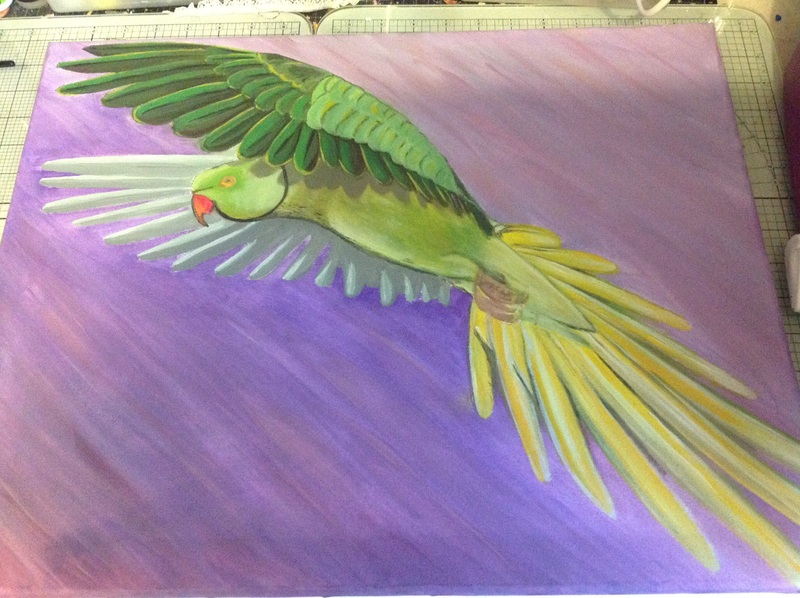 ‘ the escape’.We have a resident parakeet that has lived free, in the surrounding area of the hospice I work at, for many many years…… I am not sure if it is the same one that was living free over 10 years ago, or if they are breeding ( as I have seen three). 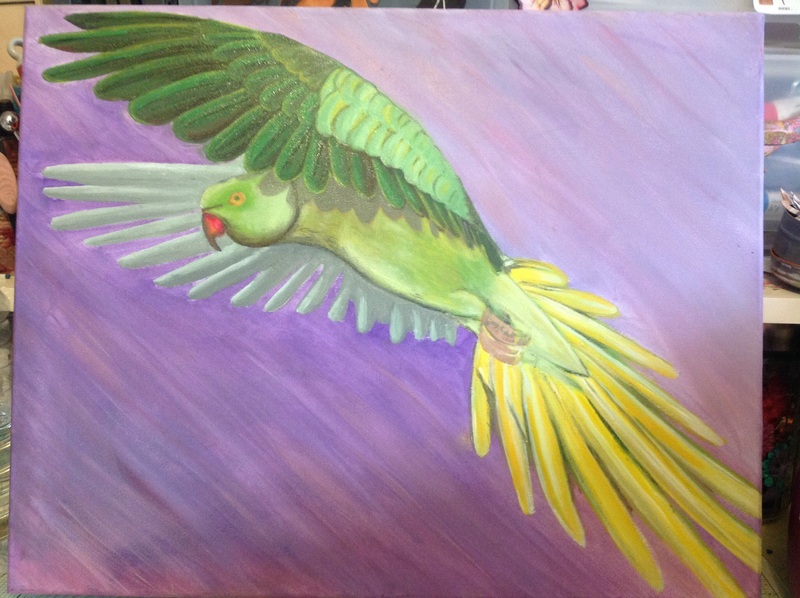 I really struggled painting this, the precision of the feathers ( over the usual randomness of hairy beasts I usually paint) caused me some troubles. 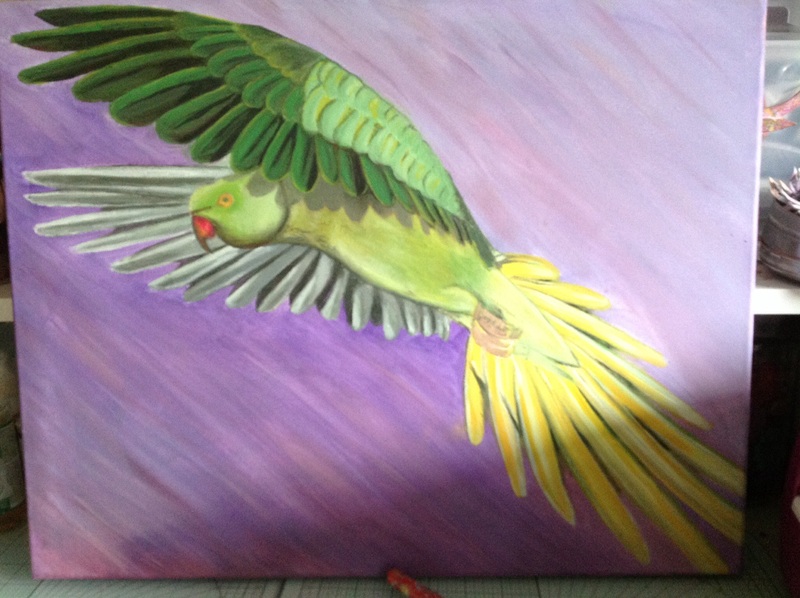 I decided to stop before I continued too far and reined it. 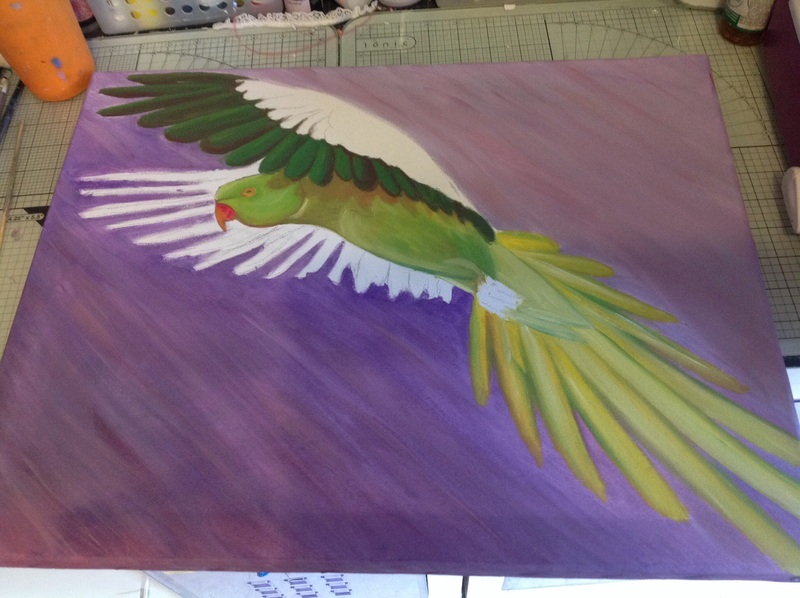 I also found it hard to get dimension on the bird, I have since decided that my background was a poor choice, and did not help with creating the dimension I had wished to achieve. 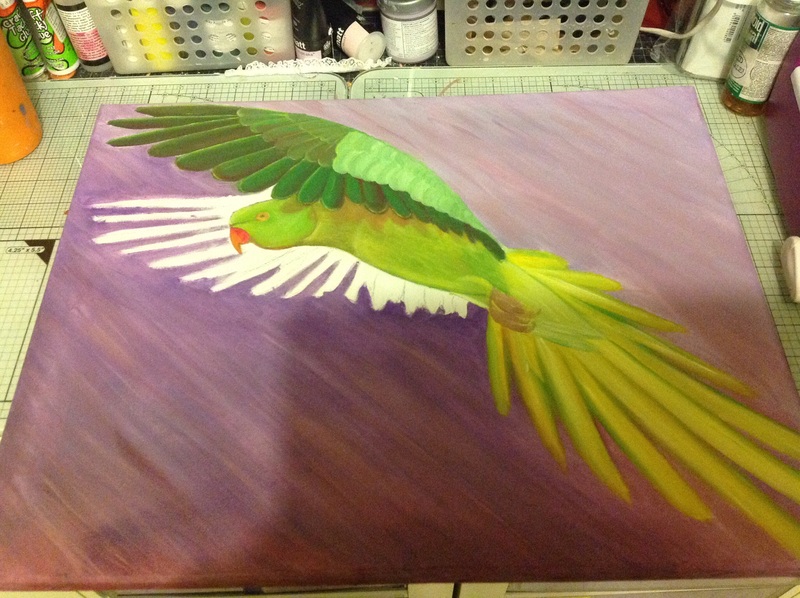 On a positive note, I am happy with the head and mid body. 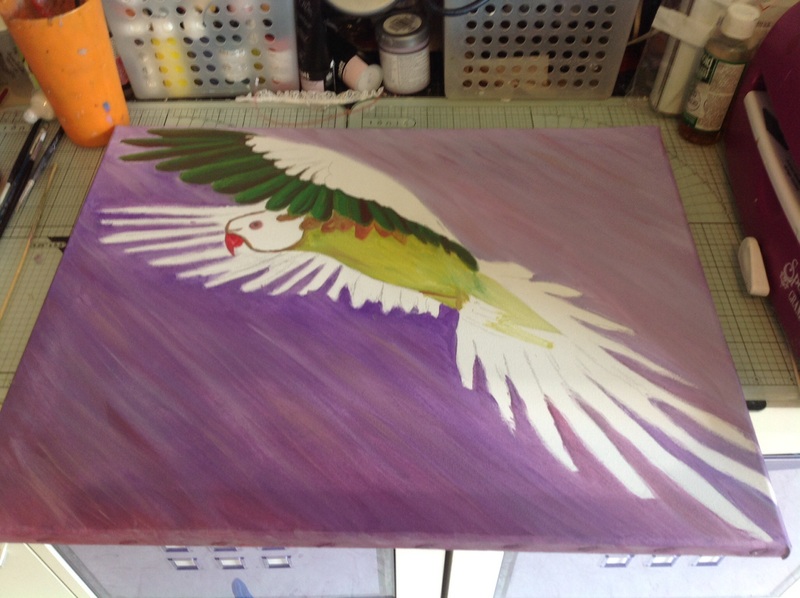 I plan to give the painting to the hospice, bringing the joy to those who can only hear him, (as they are tremendously noisy) to see the beauty of which he appears in flight. 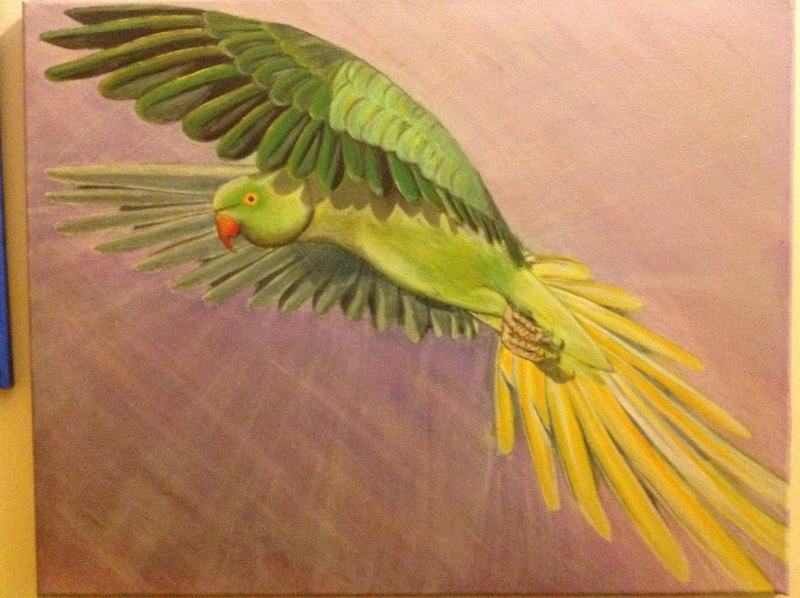 This entry was posted in bird, Parakeet and tagged bird, Oil painting, oil painting, Parakeet. Bookmark the permalink.